Hello girls and Happy Valentine's day!!!! 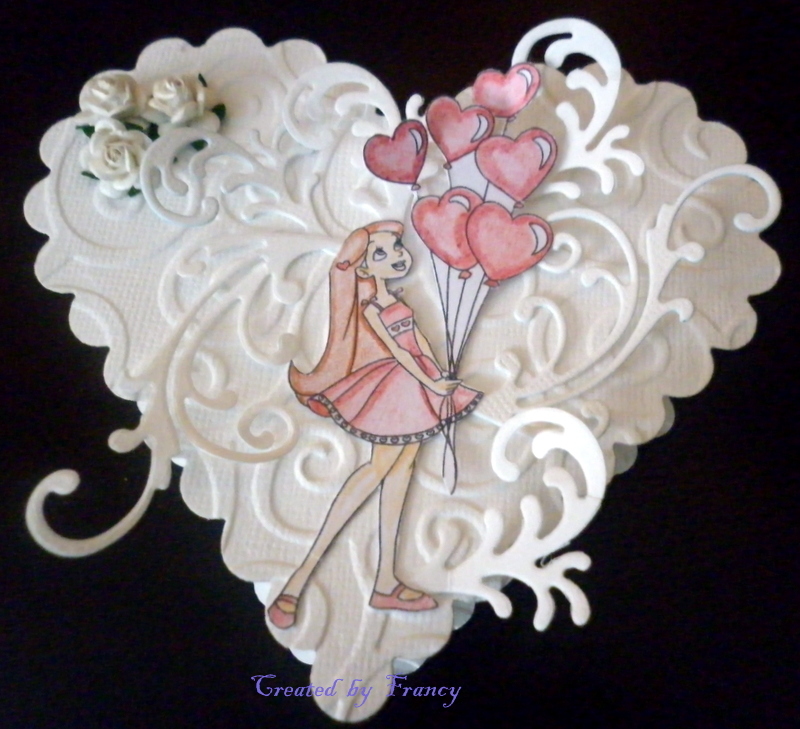 For this occasion I made a white heart box. 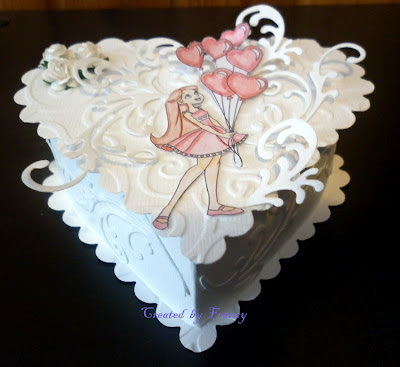 For this box I used the scalloped heart spellbinders, the swirls of Marianne Design Createbles, the little white rosees and the stunning digital Stamp: "Sweet Love Digi Collection - Love Balloons" coloured with crayons. I love the digital stamp of the Bizzy Becs Store that you can find HERE. Hi Francy, Wow this is stunning! So pretty.